Alhamdulillah, today is Ramadhan 1st, 1436 Hijriyah. Ramadhan is a moment for moslem to fasting. 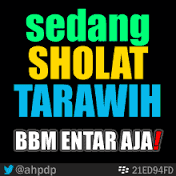 It also a chance for moslem to make self evaluation that called muhasabah. Ramadhan is the 9th month on Hijriyah calendar. On ramadhan all moslems have a task for fasting and do ibadah more. So that I make a few of plan on Ramadhan. The plan is how to maximize the time while you fasting on afternoon and get more ibadah on night. I couldn't agree more for what a friend said that it is better to make step a step for make your ibadah activity. It is need training or get habit so that when you practice something on Ramadhan you can't feel difficult anymore because it has become your habit. There are my plan to fill Ramadhan this year. I hope you can share any idea too in the comment space so that many people will be inspired by you. I hope my fasting month this year is better than last years. Tilawah is reading Qur'an carefully. I give myself a target to finish the reading Qur'an (that was named "khatam") twice in this fasting month. So that I must finish two juzu' for each day to reach the target. 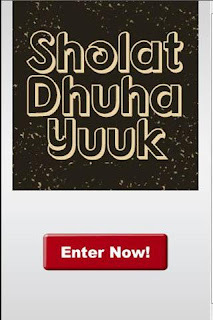 I hope I can do this by 1 juzu' after Shubuh praying and 1 juzu' on the night. I hope I can do Tarawih praying each day. I think my father is my best example for this. He never forget Tarawih praying since he was on junior high school. I take my father the best example for self discipline. So that it has motivated me to make a target that I do tarawih praying all of day on Ramadhan this year. 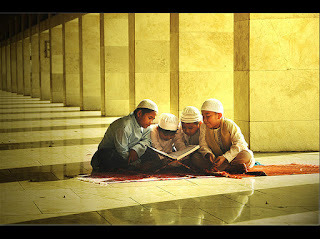 I'tikaf is take an intention to get silent on Masjid and do ibadah. You can spend your time while i'tikaf by praying, reading Qur'an and zikr (read the good name of Allah). In ramadhan, there are a habit on last 10 days to spend more much time on Masjid. In Aceh, there are many Masjid organize the event. An organizing of committee has made by Masjid director to provide daily needs such as food, . drink and a place for take a rest. I give myself just 2 days target of this year. Dhuha is a sunnah praying that has very recommended to be made a habit. 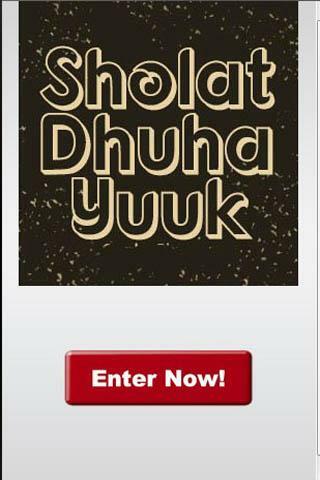 On Dhuha, there is a praying for get sustenance or livelihood. But in this sunnah praying, I just give myself to get 20 days on Ramadhan this year. I give myself a challenge to write every day on Ramadhan this year. 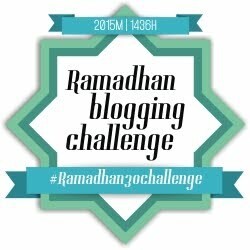 Bang Sayid Fadhil, a blogger friend have give the challenges to write on blog everyday on Ramadhan this year. 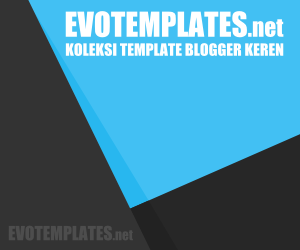 It has stated by a tagline "30 Hari Menulis Ramadhan." Today, I begin by write this resolution. On last month, I take an ITP TOEFL Test and get the standard score. The score was 453, it was decrease by the score before and I think I must give more regular practice. I give myself a target to take 45 minutes a day just 3 days on a week. Every practice day, I give myself a target to analyze 10 grammar question daily, one reading with 10 question and 3 listening question. Beside that, I will add more practice by listening music, speech etc in english while I do my daily activity. Do exercise is good for keep you healthy. In fasting month, there are good also if you make your body keep move. A little exercise such as jogging, cycling or simple exercise like push up, sit up and stretching have many benefits for you to keep you fit and healthy. What time to do exercise? Based by my reading, it is good to do simple exercise one hour after sahur breakfast or one hour before ifthar (break the fasting). I give myself 5 days a week with 30-45 minutes daily exercise. Fasting is usually give you time to reading. I give my self challenge to read 5 marketing books and 5 other theme of books. Insha Allah. Banda Aceh, 18 June 2015. Edited on 19 June 2015. 4 Tanggapan untuk "My Ramadhan 1436 H Resolution"
Woooow. Hopefully, all of your resolution must be come true. I believe that if there is a will there is a way. I wish you a better lucky.